Balochistan is all set to face a harsh drought in the coming months. Provincial Disaster Management Authority (PDMA) has stated that 29 out of 32 districts of Balochistan are affected by drought. Primary reason for drought in Balochistan is that fewer rainfalls took place last year. The drought in Balochistan has the potential to cause a human catastrophe and inaction of the Balochistan government is compounding the problem. Complicated irrigation system of Balochistan makes it prone to drought. Over 80 per cent agriculture land of the province is rain-fed. The remainder land is irrigated with electricity driven tube-wells, while Pat feeder canal irrigates some areas of Naseerabad division. Reliance on rainwater means that whenever fewer rainfalls occur there is shortage of agriculture production. Not only crops are damaged due to lack of rains but grazing lands which are sources of fodder for livestock also diminish. The drought also depletes water reservoirs and, in fact, water table has fallen down by 10 to 15 feet this year alone. An area of 1,000 square miles in Naseerabad division is called the food basket of Balochistan. This area is irrigated through Pat feeder canal and therefore agriculture output of this region is much higher than the rest of Balochistan. In 2010, the devastating flood that affected entire country, destroyed canal system of this region. Till to date, canals have not been properly repaired and therefore there is shortage of irrigation water in Naseerabad region. Adding more to the woes is the restriction placed on movement of fertilisers in the Naseerabad region by security forces. Naseerabad is located adjacent to Dera Bugti district which is hotbed of the ongoing insurgency. Hence, agriculture production of Naseerabad region has significantly shrunk. Shortage of food products this season will result in rising prices of food items. People dwelling in rural areas of the province will likely face shortage of food. Not only people will have less to eat but their incomes will also decrease because agriculture is main source of income for people in rural areas. Drought will also have negative bearing on the livestock owned by people in rural Balochistan. Drought will result in fodder shortage for livestock. In fact, 25 per cent of livestock has already perished in Noshki district of Balochistan. Livestock is the only source of food and income for 70 per cent rural population. Economic backbone of rural Balochistan will be ruined due to the forthcoming drought. In order to realistically estimate the possible effect of the forthcoming disaster, impact of the last one can be considered. Balochistan faced a devastating spell of drought from 1997 to 2005. This long spell resulted in death of 1.76 million livestock and hundreds of people died due to malnutrition and related diseases. According to the figures of PDMA, last drought caused a loss of Rs25 billion to Balochistan’s exchequer. The previous drought ended a decade ago and today the ground situation is even worse. Population has increased and so has the demand for food items. On the other hand the capacity of government to assist drought victims has decreased during the period due to insurgency and bad governance. 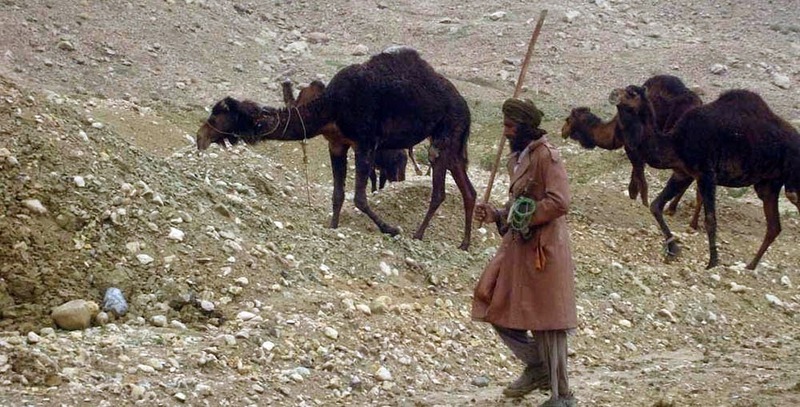 Zahid Mengal, executive director of Azat Foundation, a social development organisation working in Balochistan, lamented the lack of proper data collection mechanism in Balochistan which results in underestimating the impact of drought. He urged the government of Balochistan to send mobile medical teams to the affected areas immediately. Mengal also stressed on the formulation of water policy by the Balochistan government which can be used to control the depletion of water reservoirs in the province. The Balochistan government headed by Dr Malik Baloch is unmoved by the threat of a severe drought. The chief minister had announced a Rs1 billion relief package in October last year. The non-serious attitude of the government can be gauged from the revelation that so far the PDMA has not even completed the need assessment for relief operations. There is no sense of urgency in provincial administration to start relief work. Instead, the Balochistan government is spending huge resources on celebrating Balochistan Sports festival. This speaks volumes about the priorities of the Balochistan government and their apathy towards drought victims. There has already been substantial damage but further damage can be minimised if the government wastes no time in starting relief work. Need assessment of the drought should be completed as soon as possible. Based on the results of need assessment, help should be sent to the affected areas in the form of supplies of basic food items, animal fodder and medical teams for humans and livestock. After 7th NFC Award, Balochistan receives hundreds of billions of rupees annually, as its share form the federal government. This implies that there are no financial hurdles that can prevent the Balochistan government from helping the drought victims. In fact, substantial portion of development funds of Balochistan in public sector development programme (PSDP) have not been utilised so far. The Balochistan government can request transfer of those funds for relief operations. The Balochistan government doesn’t lack financial resources or capacity to help the drought victims — the only thing it lacks is political resolve. Relief operations will solve the crisis to some extent, only this year. There needs to be a permanent solution for this problem. That can be done by building dams in rural areas of Balochistan. The prime minister has announced funds for these dams but not specified any timeframe. Construction of these dams should be the first priority of both federal and provincial governments. Any further delay in this important task would exponentially increase the chances of occurrence of droughts in coming years.